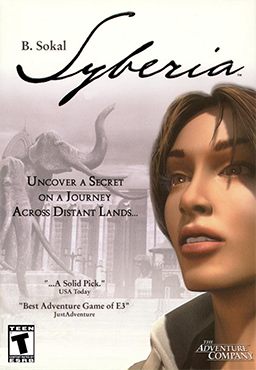 In Syberia, a lawyer named Kate Walker journeys to the remote land of Syberia. It was released for Windows on September 1, 2002, for PlayStation 2 in Europe on March 28, 2003, for Xbox on July 23, 2003, for Windows Mobile on October 13, 2006, for Nintendo DS on November 25, 2008, for iOS on June 4, 2013, and for Android on December 20, 2013. It was also released for PlayStation 3 on December 2, 2014 and for Xbox 360 on December 3, 2014.